I'm glad you've decided to join me and some of my very talented friends as we all pitch in to give you One For the Guys. Many of us struggle a bit more when it's time to create a masculine card. Not everyone has this hang-up, but it certainly is one of the most common hang-ups I hear my friends say they encounter. So hop along with us and get some ideas to get your masculine mojo going! 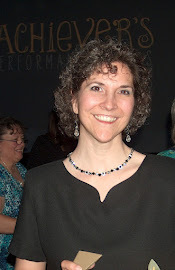 You may just be starting the blog hop here (I'm Cynthia Millan) - or may have come from the person previous to me in the list. If you get off track at any time, the full lineup is listed at the bottom. In general, I try to observe these little guidelines and today I definitely did, because this card is all about the designer paper. The Going Places DSP is PERFECT for masculine cards. The colours and implied textures are divine! 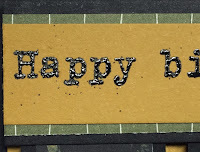 And the font in the Party With Cake stamp set is just perfect for a guy. Not fussy. Not frou frou. I'd say it works! The Tiny Triangles embossing folder breaks up the 'white space' on the card and some visual interest is added by raising the vertical banners on dimensionals, but adhering both horizontal banners directly to the layer beneath. And did you know what I did - *intentionally* - for the very first time? 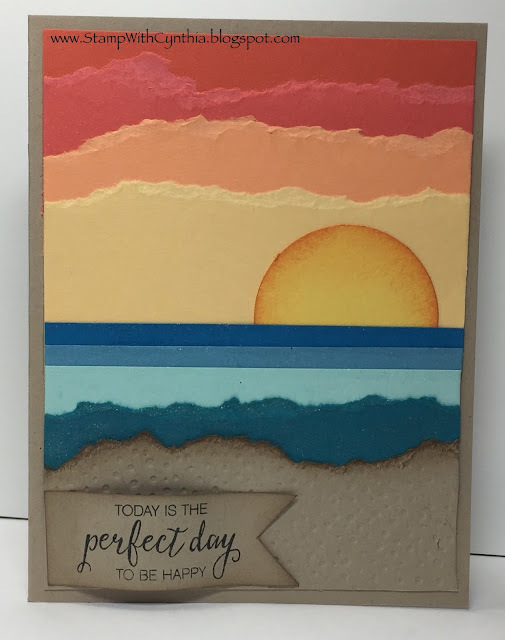 I did NOT obsess about using an embossing buddy or clearing all stray bits of embossing powder from the stamped sentiments. To be honest, at first I added sentiments onto these cards that were cleaner. But when I went back and looked at my fuzzier, first attempt, I liked the effect better. I mean, this card has its own level of pseudo-grunge happening. 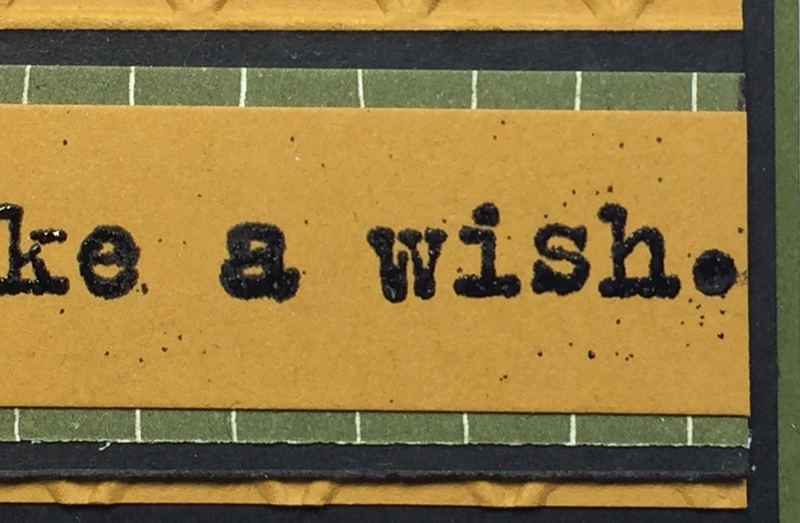 So the stray flecks of black embossing powder, along with the vintage font, really works. Have a wonderful, afternoon, evening, morning or whatever! I love your card Cynthia!!! Great use of the designer paper stack! I love making masculine cards as I have mostly the items you list that cannot be used so it IS a challenge...lol. This card is great and I will make it with that DSP. I don't have many embossing folders but I hope the big dots one will work. Thank you so much for the tip on the hand cut banners. I am a new demonstrator so I am just beginning to get a stash. wow -love the texture and dsp! I was the #1 New Demonstrator in Canada for 2011-2012! I Won This Blog Award! A *Very* Special Birthday Card!! I was a "Stay at Home" mom for 17 years but just recently went back to work. And even though I am busy by day now, I still love to come home at night and create! I love to make cards and I love to give cards. 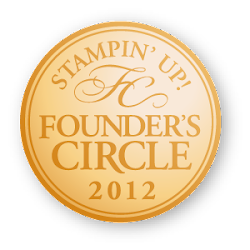 And being a Stampin' Up! demonstrator means I get to do what I love and get paid for it too!! God has blessed me richly - I am married (going on 23 years!) to a man I still adore. We have 3 wonderful daughters and a terrific son. And all the time I spend stamping and creating would not be possible without them!! I was the #1 new demonstrator in Canada for 2011/2012 (Rising Star) and that was largely due to my family's tremendous patience, support and love. 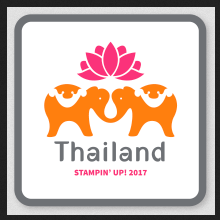 And with their help, I earned Stampin' Up! 's incentive trip to Fiji, the Getaway to San Diego AND the Grand Vacation to Hawaii (our kids came with us to Hawaii. The family vacation of a lifetime!) 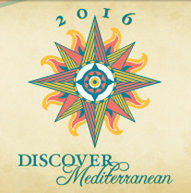 Next year I get to take my hubby on a Mediterranean Cruise...THANKS to Stampin' Up! Did I say already how blessed I am?!? Completely and thoroughly blessed! 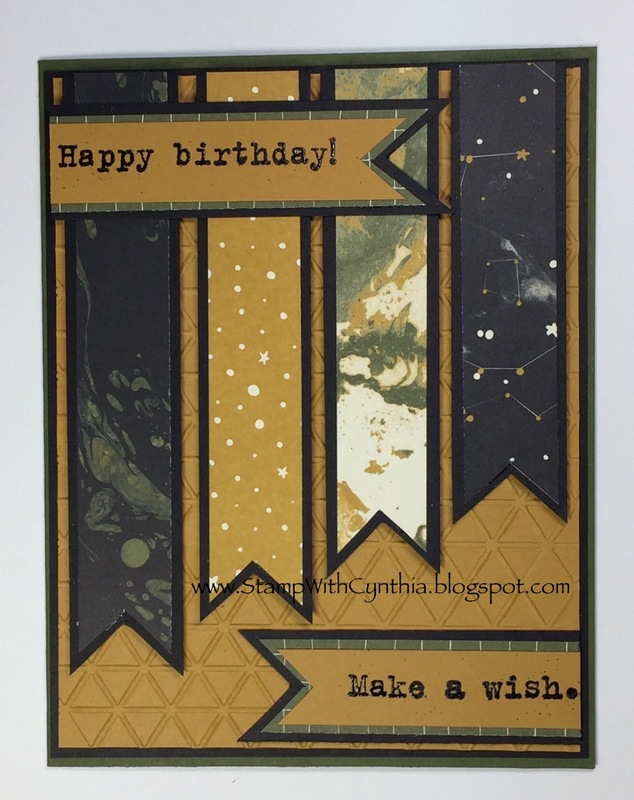 The content of this site is the sole responsibility of Cynthia Millan, Independent Stampin' Up! 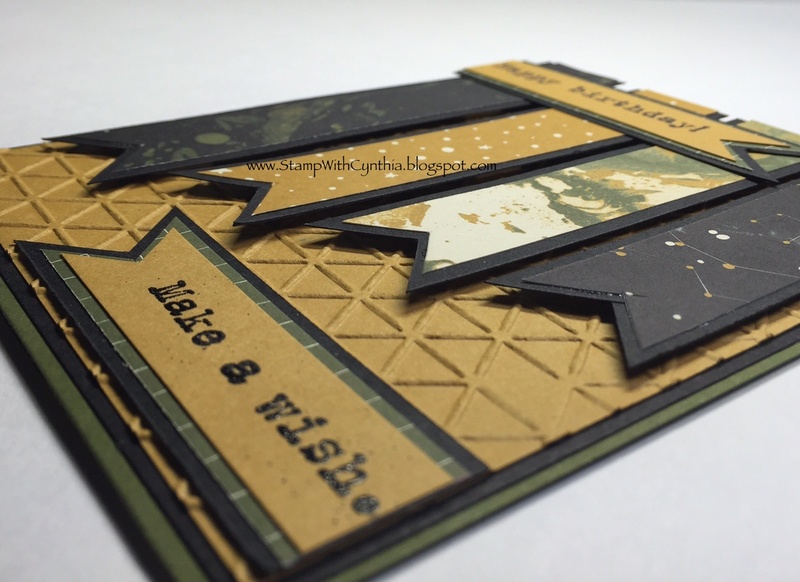 Demonstrator, and Stampin' Up! does not endorse the content, classes or services I offer! Feel free to CASE any projects that you wish (but please acknowledge where they originated). Thanks for visiting and God Bless! 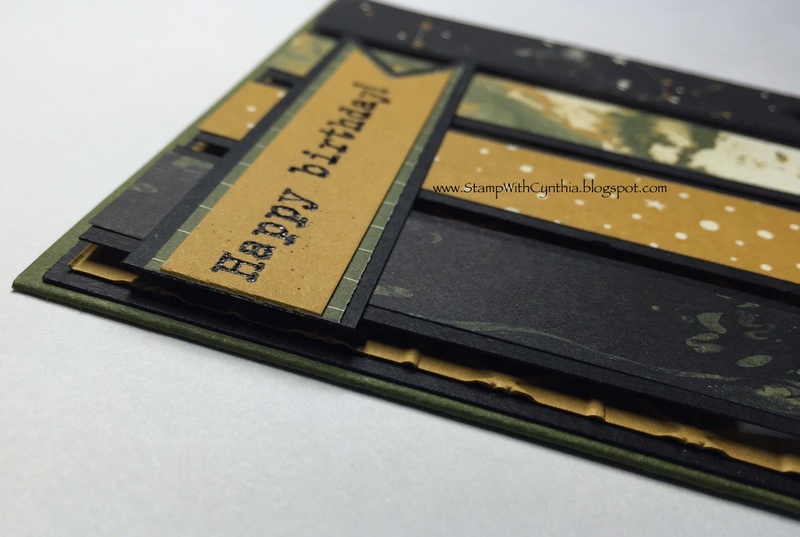 Unless otherwise indicated, all stamped images are ©Stampin’ Up! 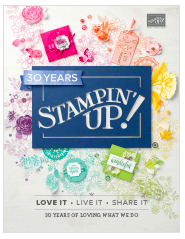 The content of this website is the sole responsibility of Cynthia Millan, Independent Stampin' Up! 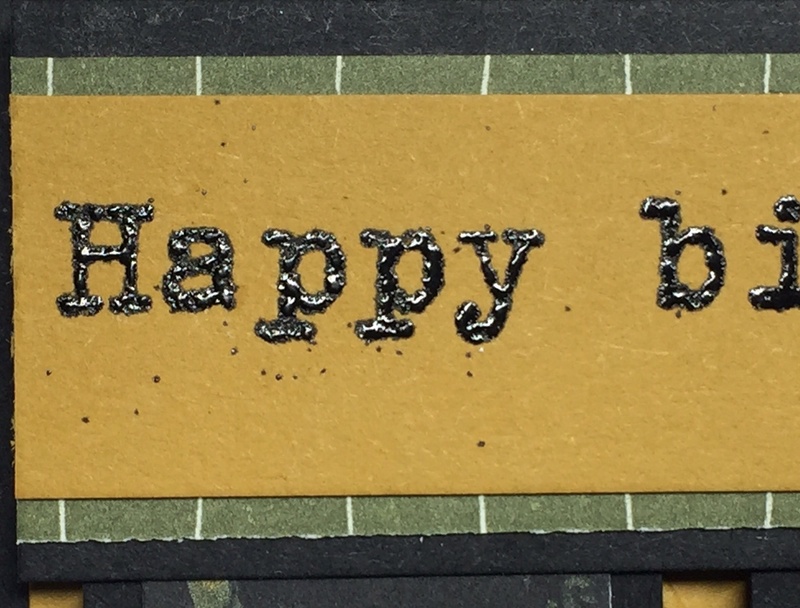 Demonstrator, and Stampin' Up! 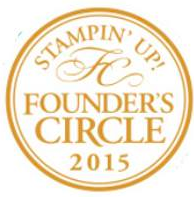 does not endorse the use of and/or content of the classes, services, or non-Stampin' Up! products I may offer here.